In “What can baby shrimp teach us about oil spills,” I discussed the problem of UV enhanced toxicity of oil. In other words, the fact that UV rays can cause molecules in oil known as PAHs to become more harmful than they would be otherwise. I also discussed the fact that this summer, I will be studying the effects of oil toxicity on grass shrimp, or Palaemontes pugio, an important estuarine species that cycles nutrients through the food chain. Because oil spills are always complex, and organisms can be exposed to oil in many different ways, from the sediment they walk on to the water they swim through, a variety of experiments are needed to get a better understanding of this issue. The first and simplest of the experiments I conducted was the developmental test. In this test, I basically mixed oil and seawater in a giant blender, then took out the water with the oil dissolved in it. 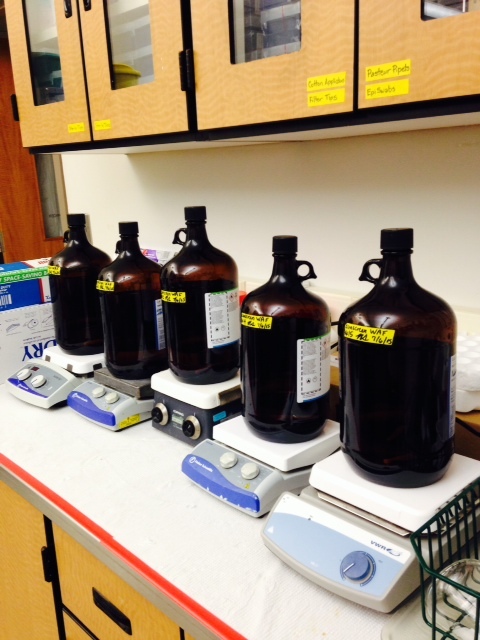 Then, I made several dilutions, creating several concentrations of the oily water. Then, I took 6-well plates and filled them up, and placed a single, 24-hour old shrimp in each well. Then, I put these plates in an incubator under UV and non-UV light, and waited for 4 days. After that, I moved the shrimp into clean water, counted how many died, and am currently monitoring them to see how the oil exposure in early life impacts their ability to grow into healthy juveniles. Another experiment I conducted essentially followed the same procedure as above, but instead of watching them as they grew, I analyzed the shrimp after their 96-hour oil exposure to see whether the oil affected the concentration of a hormone, known as an ecdysteroid, that controls their molting. Essentially, if the concentrations of this steroid are off in a shrimp it can’t grow properly, so it’s very important! I’m also conducting an oil sheen test. In this experiment, I place 40 larval shrimp in an aquarium, some caged on the bottom and some swimming freely, and then place an extremely thin oil sheen on top. One aquarium goes under UV light and the other goes under fluorescent light, and after exposure I analyze whether the sheens have had a harmful effect. Whether thin oil sheens are toxic is something that’s not very well understood in this species, so it will be very interesting to see the results. Finally, I’m conducting an experiment to see what occurs when oil is mixed in with sediment. Essentially, this involves putting sediment from an estuary in a jar, adding oil, and tumbling it around so that the oil is completely mixed in. Then, the sediment is placed into beakers along with water and 24-hour old shrimp, and put under UV and non-UV light for 24 hours, in order to see what mortality occurs. This will perhaps be the most informative experiment, as grass shrimp spend most of their time on the seafloor, so if they’re going to be exposed to oil, it will likely be from the sediment they’re walking on. In short, I have my hands full this summer! It will be very interesting to see the results. 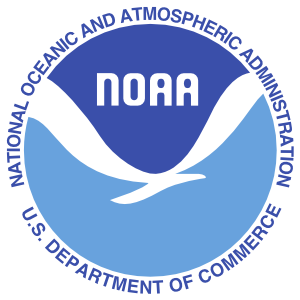 Hopefully, this will increase our knowledge of the harmful impacts oil spills can have to estuarine organisms, and allow NOAA and oil spill analysts to make better predictions of the long-range impacts of oil spills. Ultimately, this may help them make better clean-up decisions. Thank you to my mentors, Dr. Marie Delorenzo and Dr. Paul Pennington, for their guidance. I’d also like to thank Katy Chung for all her help and expertise. 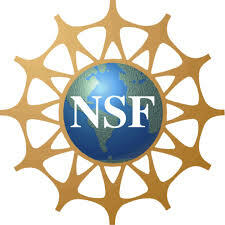 This research is funded through the National Science Foundation. Chemicals found all around us that have been altered, mimicked, and synthesized to be added to our products, are behind the success of our modern society. They have made our plastics strong, our crops prosperous, and our medicines effective. But I have always wondered about the toxicity of these chemicals. When you look at their biological activity, a chemical might possess the potential to do harm, like interfere with biological processes. The safety of a potentially harmful chemical is based on exposure and dose. It is important to know if we are touching it, eating it, or breathing it in, and for what period of time. The study of evaluating the harmful effects of substances on exposed organisms is what toxicology is all about. They have such an important job because their findings influence what we know is safe and unsafe, for us and organisms all around us. I learned early on from pursuing biology that we are exposed to many things we are unaware of. Not only are we exposed to potentially harmful chemicals, but we facilitate exposure to other living organisms that may more sensitive. Take dogs for simple example. The toxic dose of something like chocolate for humans is very high, whereas leaving a small amount of chocolate out for a dog to eat could easily kill it. Rachel Carson is someone I greatly admire, whose work on the pesticide DDT also exemplifies this reality. Food crops were the target for DDT, but birds were indirectly ingesting it, explaining the decline in the Bald Eagle population. She is one of the people that sparked my interest in ecotoxicology, looking at the effects of harmful substances on ecology, not just humans. This is an example of some of the questions ecotoxicologists ask when there is a potentially harmful substance found in the environment. Photo credit: globe.setac.org. 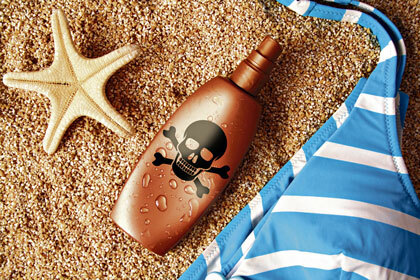 Here is a chemical product you may not suspect as a threat, sunscreen. In sunscreens, UV filters protect you from getting burned, but also can act as endocrine disruptors, altering hormones and growth (1). Sunscreens are only meant for human skin, however they end up in our lakes, rivers and oceans through swimming or through waste water treatment effluent (2). Unintentionally, many more organisms become exposed. In my project I will be using sea urchins as a model organism to study the effects sunscreens might be having on coral reefs. I am learning how to preform toxicity tests on sea urchin sperm and embryos which involve an exposure period with sunscreen formulations and then evaluation of effects. I hope to investigate if the chemicals from sunscreens in the water can have negative impacts on coral reproduction. My work can potentially help create understanding of how humans are contributing to coral reef decline, and influence others to take action to protect them. This is a picture of sunscreen water accomodated fractions (WAFs) I am making. They are a mix of sunscreen and seawater and I will be exposing the sea urchin embryos to each solution! 1 Krause M.,, Klit A., Jensen M., Soeborg T., Fredrickson H., Schlumpf M., Litchensteiger W., Skakkebaek N E., Drzewieck K T. 2012. Sunscreens: are they beneficial for health? An overview of endocrine disrupting properties of UV-filters. International journal of andrology. 35 424-436. 2Kyungho C., Kim S. 2014. Occurances, toxicities, and ecological risks of benzophenone-3, a common component of organic sunscreen products: a mini review. Environment International. 70 143-157.